It's cold out. Really cold out. And the Eastern US is bracing for a major storm, after which, some seriously cold air will come flooding in. But let's not think about that. Let's think about a well-tended garden and some topiary bushes, instead. That sounds much better. 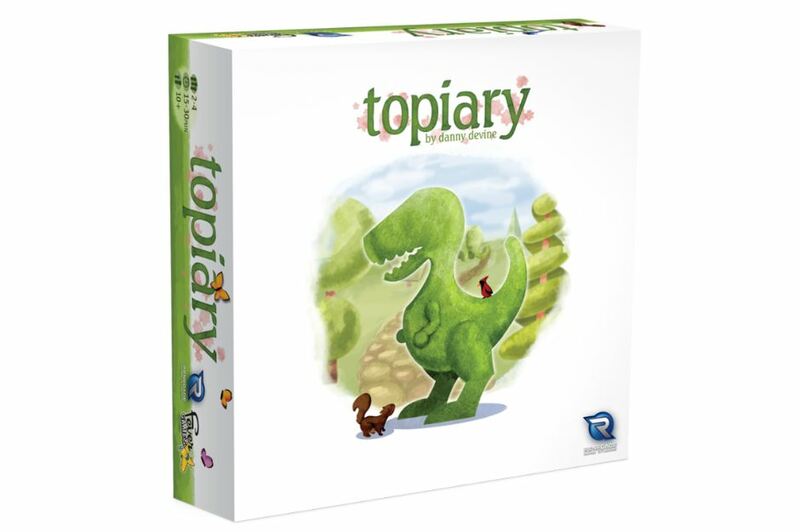 Well, in one week, you'll get some help with that with Topiary, a new game coming from Renegade Game Studio. Hobby Retail Stores across North America. It’s a fabulously sunny day – the perfect occasion for folks to visit the new topiary garden on the outskirts of town! Nothing spells a relaxing weekend like enjoying sculptures created with the assistance of nature herself. The garden can get quite crowded at times, though, so it’s up to you to make sure your visitors have a good experience with these beautiful botanicals. You’ll want to place your visitors in the best positions along the outer edge of the garden and rearrange the sculptures strategically to give your visitors the most spectacular view of the landscape!